You probably know the feeling. You have recently bought a new home cinema set/centre and your old record player is either broken or doesn't fit in your new system. It would be a waste if you couldn't play your valuable LP-collection any more. We can digitize these precious recordings to computer files and/or CD. 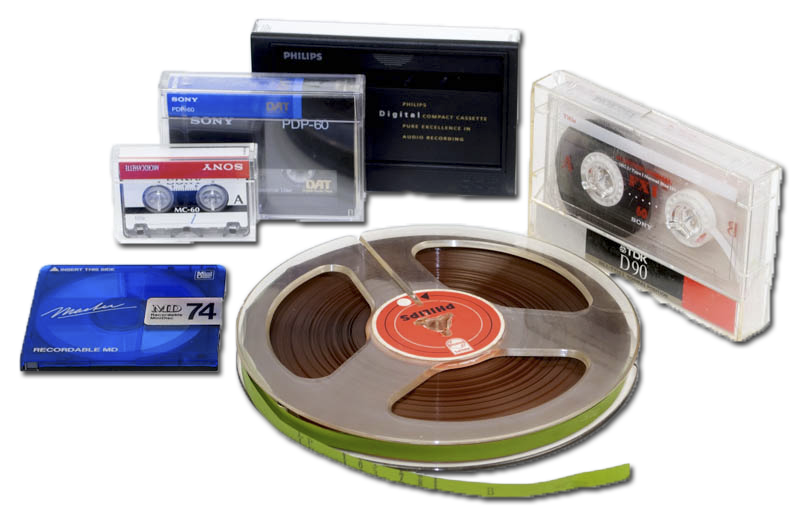 We can digitize LPs, audio tapes, micro cassettes, mini discs and (normal audio or DCC) cassettes. Another option is to transfer your audio carrier onto CD. You can indicate in which order your want your cariers to be put on CD and if you want more than one carrier on a CD or we can put your each of your carriers on a separate CD. There is a maximum of 70 minutes of video on one CD. We can convert your audio recordings for all modern audio formats. We deliver your digitized tapes in the format: .mp3 by default. We can also deliver other formats if required, of course. For example, WAV, FLAC, OGG and AIFF. Your material will be digitized in the best quality possible. By default we'll be normalizing the audio level (for example audio that is recorded very soft will be brought to the right level of sound). We digitize with professional AD converters and audio equipment in our own studio. The result is excellent quality. Optional: after digitizing we can edit your audio. This could entail: removal of scratches and noise and/or making separate tracks. Finally, the digital material will be put onto a storage medium like a USB stick or CD. All prices include 21% VAT and are subjective to change.